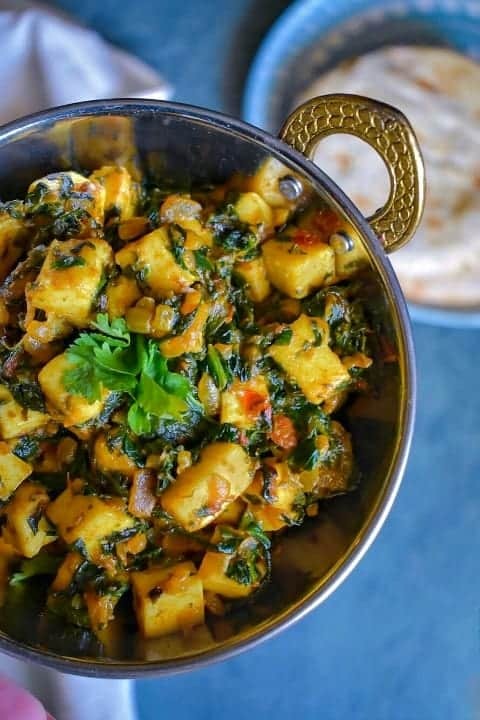 Sauteed Spinach with Cheese – Masala Palak Paneer: fingerlicking delicious and easy spinach recipe with paneer (cottage cheese) in mild Indian spices. It can be eaten with Indian bread, rice or any other grain of choice. This Sauteed Spinach with Cheese – Masala Palak Paneer recipe is my favorite goto spinach recipe. trust me, they give some awesome tips on how to preserve/keep produce at home. So we were sailing through these row’s of colorful, fresh, yummy looking veggies, baked and many other goods when we came across a cute little boy enthusiastically selling fresh greens with his family. He’s was soooo adorable and of course we had to buy from his stall, so we ended up buying lots of greens and fruits. Hence, the Sauteed Spinach with Cheese a.k.a Palak Paneer.…It’s so delicious…. What I’m sharing today is One of the versions (How it can be prepared) …. 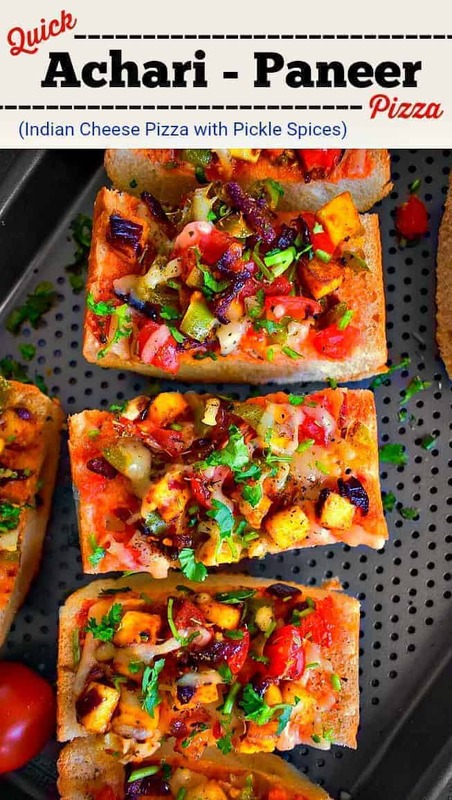 Trust me, there are tons of ways…It’s such an easy recipe with flavorful impact. All you need is spinach, onion, cheese and salt pepper and a secret ingredient – Flour …. Yes, the flour soaks up the water from spinach and cheese and makes it absolutely delicious, giving it a nice dry texture. 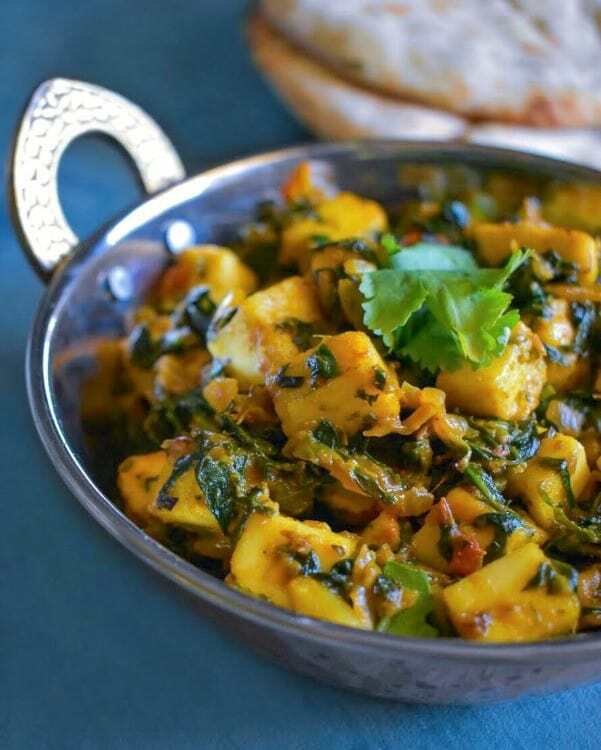 So, go ahead and try this Sauteed Spinach with Cheese – Masala Palak Paneer recipe soon. It’s also a great way of feeding greens to kids along with cheese. If you don’t eat cheese, you can skip it or add any veggie like potato/carrot to it and it tastes equally amazing. Flour is added when the spinach is nicely cooked and it has to be stirred in continuously till it properly mixes with the greens and you don’t see any of it. 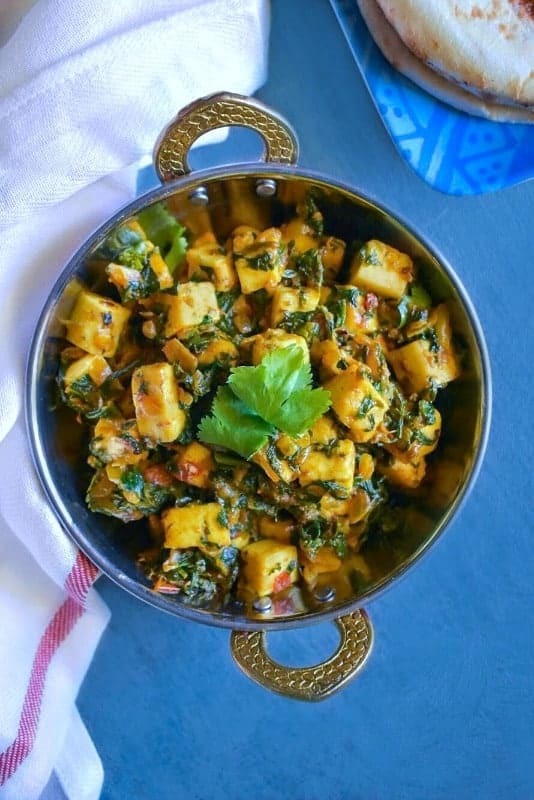 Fingerlicking delicious and easy spinach recipe with paneer (cottage cheese) in mild Indian spices. Heat oil in a large pan add chopped onion and sauté for 1minute. Now add ginger, garlic, stir evenly and cook on low heat for 2-3mins (Cook covered with lid). Once the spinach is cooked, add chopped tomatoes, paneer and cook on medium for another 2mins. Turn off the heat, transfer in serving dish and serve hot. 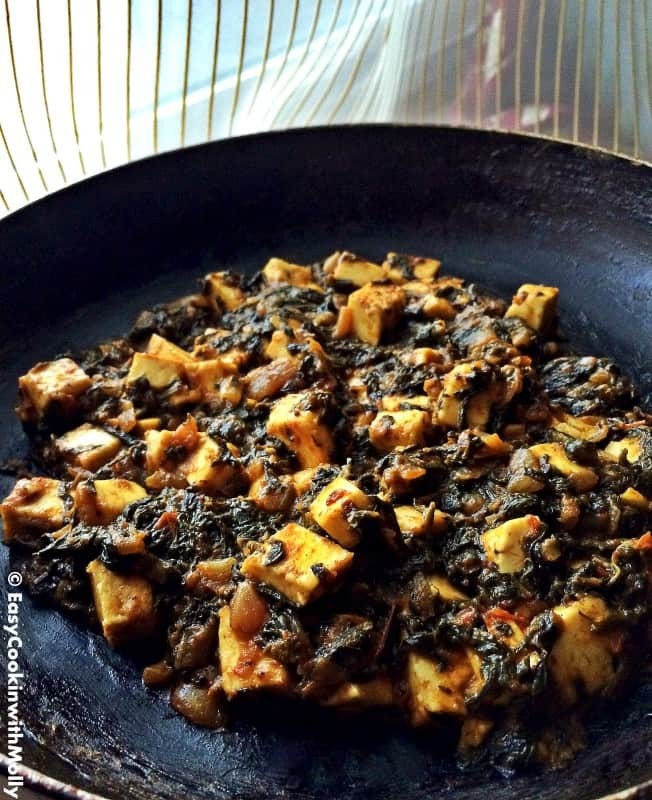 2 Replies to "Sauteed Spinach with Cheese - Masala Palak Paneer (Dry)"
Ha! Ha! How wonderful that the little boy is learning about the benefits of healthy eating at such a young age. He is quite the little salesman, isn’t he? Loving the beautiful colors in this dish.